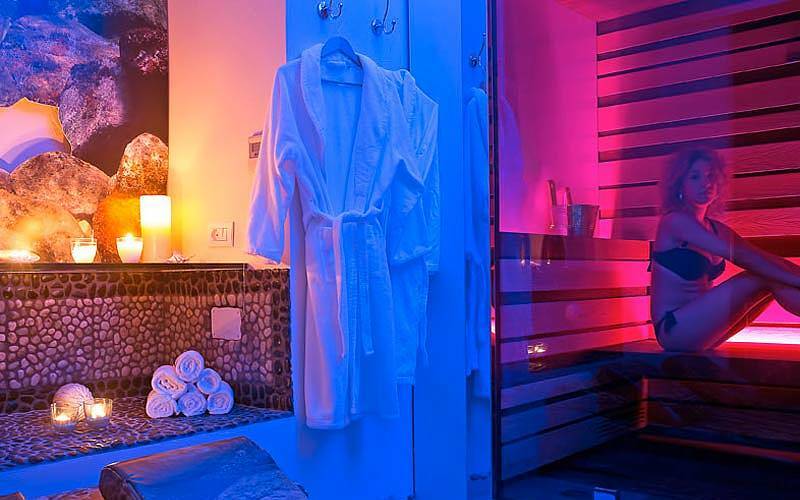 The Gatto Bianco Spa & Wellness is the wellness center of the hotel Gatto Bianco, a serene retreat dedicated to the recharging both your mind and body, where you can take time out from your island vacation to indulge in a bit of complete relaxation. 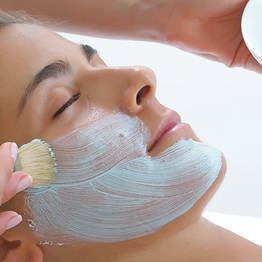 In the Gatto Bianco Spa & Wellness beauty center, you can book one of our exclusive beauty treatments, choosing from our vast range or creating a custom package, all of which are inspired by our dedication to natural products and phytocosmetics. 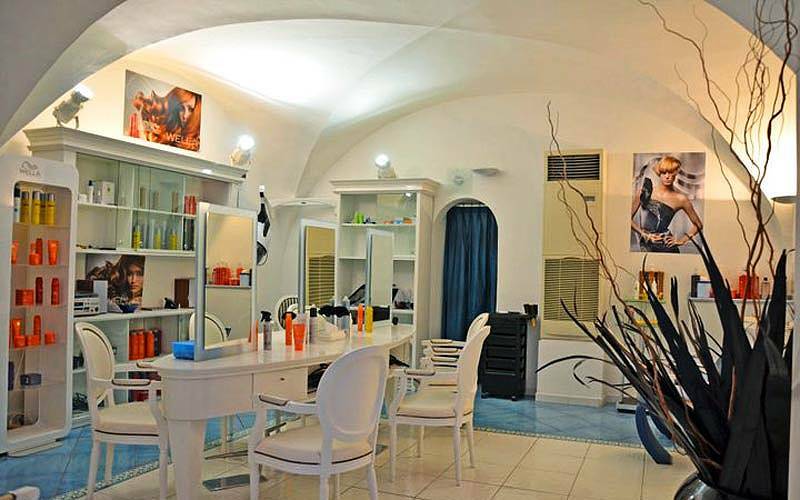 After windowshopping in Capri town and swimming in Capri's crystal-clear waters, there's no better way to round off your day than a visit to the Petite Spa at the Centro Benessere Gatto Bianco Spa & Wellness. Book the spa all for yourself, for you and your sweetheart, or with three other friends. 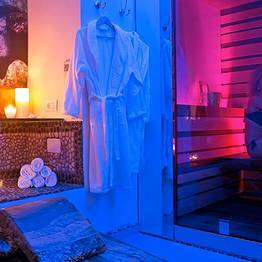 Here you can enjoy the sauna, steam room with chromatherapy, and relaxation shower in complete privacy! You can pair your indulgent spa visit with a MEI treatment, a unique massage using a Podostrigiles®. This custom tool is inspired by similar massages beloved by the Ancient Romans; paired with essential oils and teas made from wild herbs, this one-of-a-kind treatment will transport you back in time almost two millenia. The Gatto Bianco Spa & Wellness center also offers traditional massages and stretching by trained and licensed personnel, and beauty treatments to look your best while on vacation. 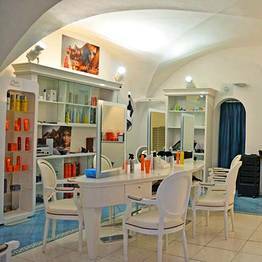 Gatto Bianco Spa & Wellness is located inside Hotel Gatto Bianco on Via Vittorio Emanuele, one of the main streets in Capri town which links the Piazzetta to Via Camerelle, famous for its luxury shops and boutiques.